Two airlines—Ireland’s Ryanair and U.S. “legacy” carrier United Airlines— are trying to improve the image the flying public has of their customer service. 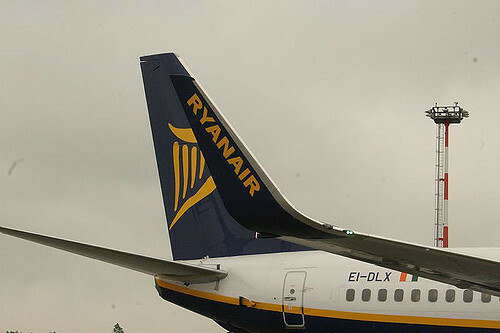 Taking that page out of its countryman Wilde’s book, so to speak, and heeding the adage that “There is no such thing as bad publicity,” Dublin-based budget airline Ryanair has gotten plenty of “ink” with its dirt-cheap-base airfares, plans to charge for use of the “loo” on some flights or remove those “facilities” from its planes, considering “stand-up” seating, and charging an arm, leg, an eye and a tooth for getting a boarding pass at the airport. O’Leary’s remarks came at its annual meeting when shareholders complained that customer service was impacting sales. While Ryanair’s O’Leary was saying “Mea Culpa” and moving forward with plans to spiff up the airline’s public persona with improved customer service, United Airlines was flying back in time by resurrecting its 1965-1996 “Fly The Friendly Skies” ad campaign. Those who flew United back in the last century will recall that its ads were musically underscored by George Gershwin’s elegant “Rhapsody in Blue.” In this promotional video, United hasn’t brought out a marching band to trumpet its image as the “friendliest” airline to fly. Instead, it’s conducted a symphonic “sit in” on one of its planes. As this story in The New York Times, points out, United has endured a deluge of customer service problems and complaints since its merger with Continental Airlines. But onboard how many of United’s aircraft can you get connected to the world via the Internet? “…after the first flood of sentimental remembrance recedes, what we’re left with is today’s United, flying in today’s skies. United counters Ali’s and Winship’s negativity with this “Configured for your comfort” video. But are United’s problems too deep-seated to be solved by painting a glow picture of its jets flying through “friendly” skies? This recent story in The Economist notes that the airline still has unresolved problems with its labor force and its computer system. Who’s Going to Heaven, Who’s Going to Hell? 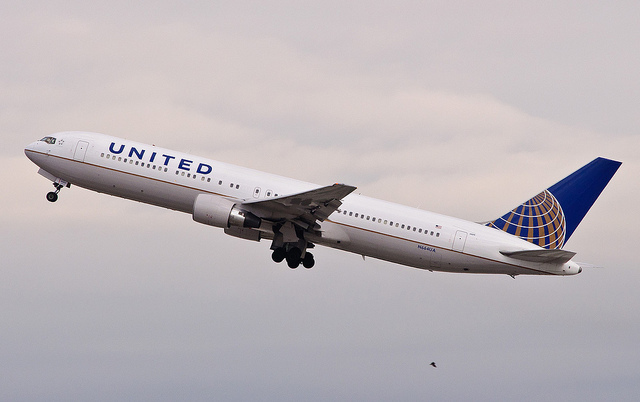 On the other hand, United Airlines Chairman and CEO, Jeff Smisek, has stayed out of the limelight, preferring to allow advertising, rather than his words, to reassure the airlines customers that their travel experience will be heaven-sent. But, to paraphrase Abraham Lincoln, actions speak louder than the words of an airline’s CEO or its ads. 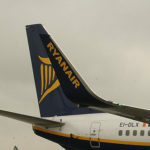 And if Ryanair or United fail to “fly and deliver,” their customers will surely give them “hell” in return. In the meantime, their passengers will remain up in the air, debating whether the wonder of air travel is worth the aggravation it involves, much as actor George Clooney was conflicted about his life as a “airborne road warrior” in the movie Up In The Air. If you’ve followed our Tales Told From The Road “Movie Reviews,” you’ll have noted that we focus on films where “place” matters. In other words, location must be a “character” as important as those portrayed by the actors. The California Film Institutes “Mill Valley Film Festival 36” (October 3-13, 2013) held in Marin County, California, just across the Golden Gate Bridge from San Francisco, features a passel of “World Cinema” movies that will no doubt meet our “sense of place” requirement. An award winning comedy/drama about two young people from different parts of the world, their vastly different cultures and their journey of self-discovery during the drive to the largest music festival in California. Closing in on his 60th birthday, celebrated author Norifumi Takada is more bottled up than ever. He hasn’t written a word since his wife’s death and believes his writer’s block is probably permanent. But then he meets Sayo, a barmaid his daughter’s age. Enchanted by her beauty and vulnerability, Takada begins to wonder if he’s found a new muse. Gifted Maori musician Turei has a vision of his future, and it definitely does not involve the hardscrabble existence on the potato farm his family can barely keep solvent. Turei imagines his group, Small Axe, winning the national battle-of-the-bands prize: opening for Bob Marley’s upcoming New Zealand tour. It’s a goal that will push the boundaries of his frayed relationship with his father and his own personal ethics. httpvh://youtu.be/N0gHwasfR7gTickets for this popular, annual event sell out quickly. You can purchase them online, by phone, or in person. Click here for more information on all of the Festival events and films.